Condo Issues.com: Why Won't They Serve? Condo Issues.com: Why Won't They Serve? : Homeowners won’t volunteer for boards of directors of community associations—another nail in the community association coffin? Click the title link to read the essay. When Community Associations Lose "Critical Mass"
By Tyler P. Berding, JD, Ph.D.
"Critical Mass" is a physics concept. 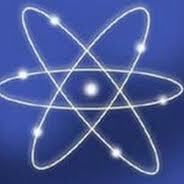 Basically, it is defined as the smallest hunk of matter that will sustain a nuclear reaction. If the mass of the material is too small, it cannot generate heat or light. When the mass is adequate, it can support a chain reaction that will continue to produce energy. While it may be a bit of a stretch, we can also apply the critical mass concept to social phenomena. A group must have enough people to produce the creative energy necessary to accomplish the goals of the group. If the group is too small, it will not be sufficiently energized, and will fail to accomplish its purpose. When this happens, members become disillusioned, and quit the group. Do owners believe CCRs are contracts? And why that doesn’t matter! By Tyler P. Berding, JD., Ph.D.
Editor’s Note: Evan McKenzie is an Associate Professor of Political Science at the University of Illinois at Chicago. He is also a lawyer and has written extensively on the phenomenon of private government as applied to housing. He has written two books entitled “Privatopia” and “Return to Privatopia” and he regularly posts on his blog, “The Privatopia Papers.” The following blog post by Evan and the responses below, contain both philosophical and practical points of view on the nature and future of community associations. I have been thinking about an issue raised in a post by Fred Pilot recently, and responded to by Tyler Berding in a comment. I will do both of them the injustice of oversimplifying their arguments so I can rush to make my own, and I invite them (and others) to reply and continue the conversation. Fred argues that the American public generally does not consider CID declarations and other governing documents to be contracts. Fred has long held that Americans do not accept the basic concept of residential private governance. He believes that the general home-buying public rejects the notion that there is any real legitimacy in the decisions made by condo associations and HOAs. If I understand his position correctly, he is saying that Americans do not consider CID documents and decisions to be legitimate either in a public or a private sense. They are not viewed as the actions of de facto quasi-local governments, and they are not viewed as obligations people are bound to by private contract. They fall between two stools, as the saying goes. 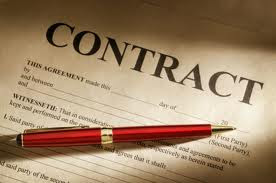 Tyler responds that they are contracts, period, because that is what courts universally say they are. This is in large part beyond dispute: like it or not, condo associations, HOAs, and housing cooperatives are recognized by federal and state law, and CC&Rs and other CID governing documents are fully enforceable, subject to a few exceptions, in every court in the nation. What, then, is the point of claiming that people reject them as illegitimate? Isn’t that akin to saying that you reject the law, which you have to obey regardless of how you feel about it?